Found 6 blog entries for February 2018. Monday, February 26th, 2018 at 4:44pm. Here at Mountain Luxury we are 100% committed to use the best marketing and sales tactics to sell your home. We analyze and strategize cutting-edge marketing and tried and true traditional methods such as open houses, to ensure we are doing everything that works to sell your home. No excuses about high cost efforts or taking up our Saturdays sitting your home, just results. Wednesday, February 21st, 2018 at 10:35am. Located in the quaint bedroom community of Farr West, this immaculate home has everything going for it. This location offers quick access to major thoroughfares, but remains off the beaten path, close to schools, and away from the din of heavy traffic. It's also a short 15 drive to the bustling outdoor mecca of Ogden. Saturday, February 17th, 2018 at 1:31pm. A beautiful winter escape in Durfee Creek, this cabin is located near North Fork Park and enjoys a year around creek. Enjoy privacy set back in the trees with breath-taking views of Ben Lomond Peak and the Wasatch Range from two-story picture windows. The main floor features a large great room, dining and kitchen, with a walk out to a covered deck backing up to sounds of the flowing stream. A large soapstone stove and timber logs with dove tail corner joinery displays the attention to detail. Two additional bedrooms and one bathroom finish off the main floor. Wednesday, February 14th, 2018 at 11:26am. Are you a shining star, an over achiever, a believer in doing things right the first time, and a wizard with google docs? Do you love Microsoft programs and use them efficiently? Are you friendly, team oriented and lighthearted all while executing tasks and answering the phones with a smile. If yes, we want you to come work for us! We want someone looking to stay a while so we can laugh with you and make you part of our working family. Tuesday, February 13th, 2018 at 5:45pm. 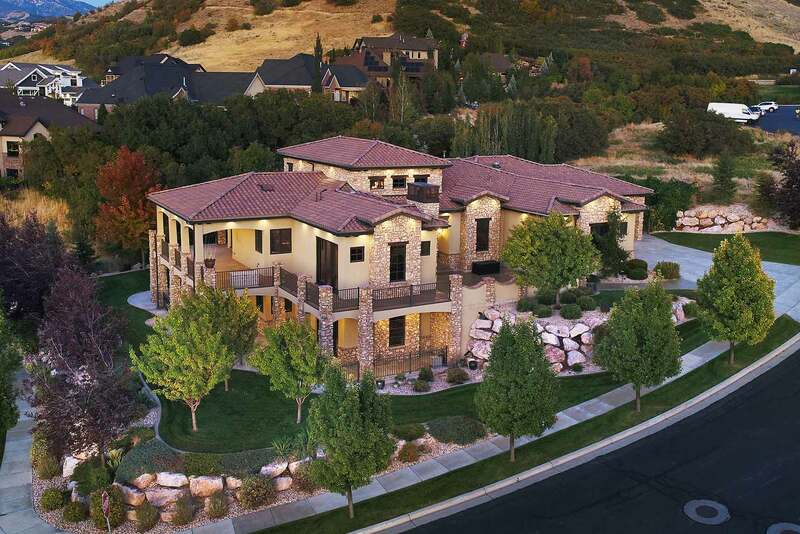 This fabulous luxury home sits high on the east bench of North Salt Lake and offers stunning views from all corners. A serene setting amid trees in Nordic Valley conceals one of Ogden Valley's handcrafted masterpieces. With views of the surrounding peaks of the Wasatch, this rustic yet elegant mountain home sits secluded among the native oak, pines and aspen of Durfee Creek. Monday, February 12th, 2018 at 4:36pm. High in the Trappers Ridge development overlooking the Ogden Valley, this home maintains breathtaking protected views of Pineview Reservoir, Lewis Peak and Snowbasin Resort. This unique custom home is situated in one of the most coveted locations in Trappers Ridge. The expansive views are immediately evident as from the front entry on into the large family room, kitchen and dining area. The outdoors spill in through the large windows to illuminate the stain grain woodwork, fireplace, hardwood floors and stone work. The rich kitchen cabinets are topped off with granite and wrapped with a tile backsplash.